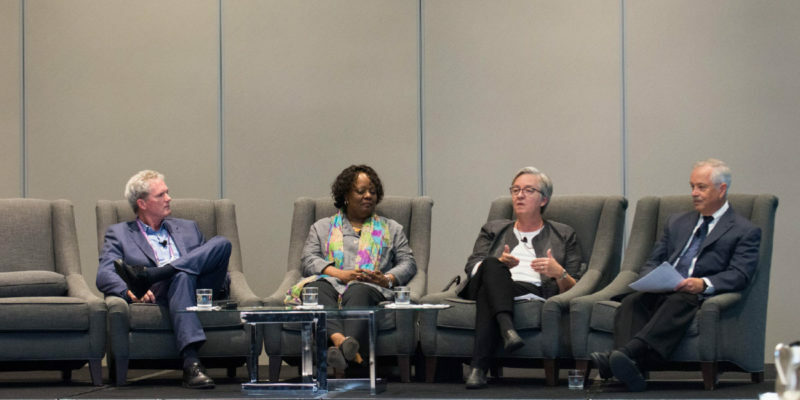 Panelists during New Business Officers session. 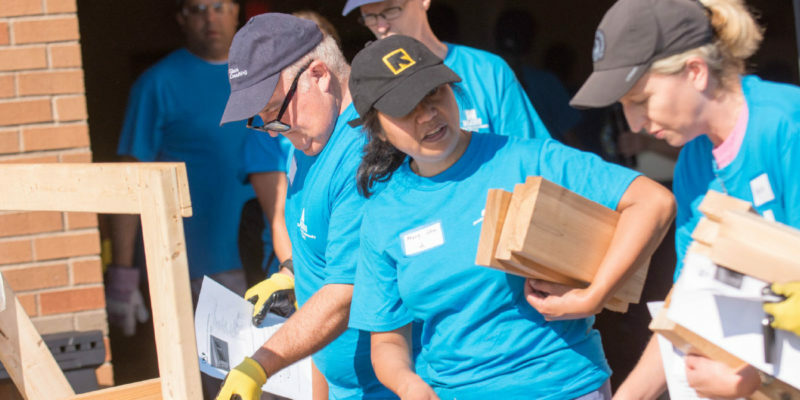 NACUBO community service project, where volunteers worked on an outdoor environmental learning center at Washburn Elementary School. 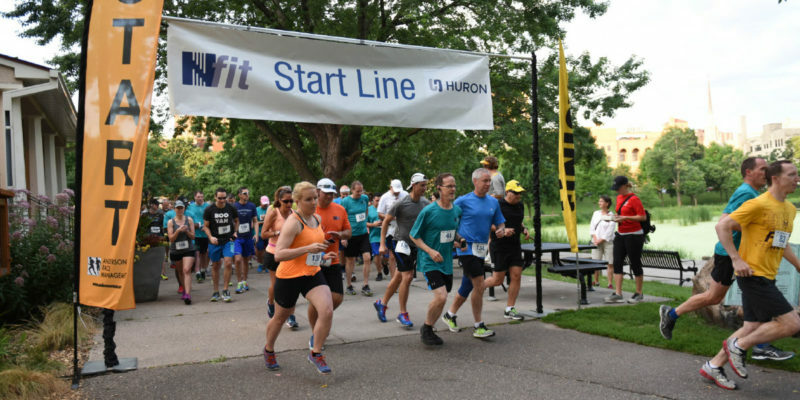 Attendees start the day with the Nfit 5K run. 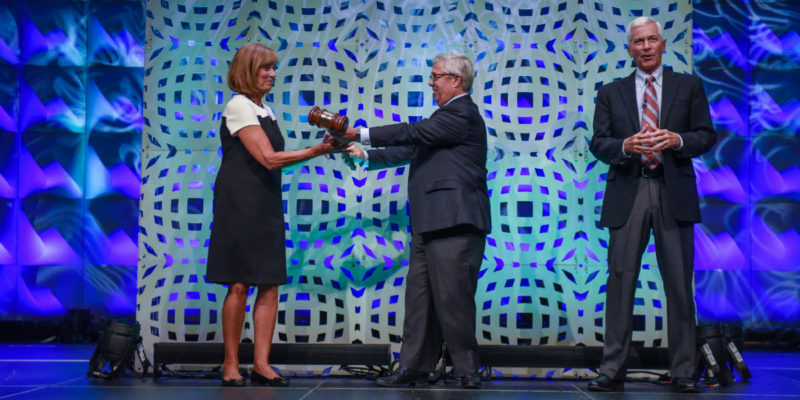 NACUBO President and CEO John Walda (right) oversees the gavel pass between NACUBO’s outgoing board chair Randall Gentzler and incoming board chair Mary Lou Merkt. Closing event at First Avenue nightclub.